Atomic Age Design is an optimistic projection into future America. 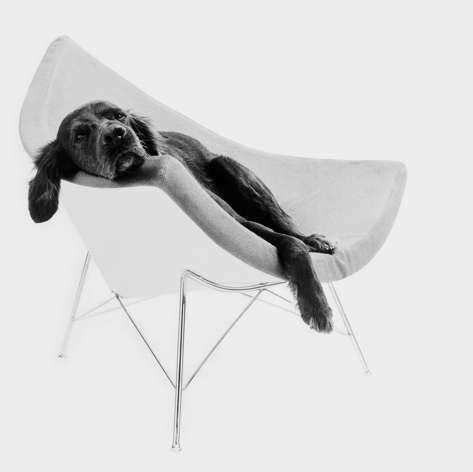 This art and design movement kicked back against the Machine Age aesthetic with an organic and anthropomorphic approach to objects produced. Many of the materials developed during WWII went from being used to help the war effort to being used in household items. Molded plywood developed by the Eames couple is used in furniture, Earl Tupper reuse of plastic for food storage called Tupperware, and Camo cloth used to create a evening dresses by designer Adrian are just a few examples. 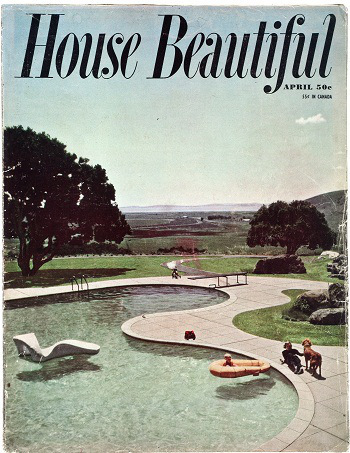 Though, under the Mid Century Style umbrella, Atomic Style slightly diverges with a more unique and recognizable look that evokes outer space living. The want for objects that were beautiful as well as functionally inspired items that molded to hands when carried and to the body when seated. 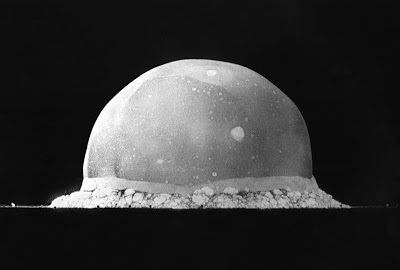 This is what shaped the theory that drove Atomic design to implement organic shapes and aesthetics. The shapes and colors were not realistic examples of things found in natured but rather the outline and generalities of forms. Another aspect to the Atomic design principle was the theory of Vitalism. Vitalism is the belief that all things have a life force/essence that can be sensed by the designer or artist. This reverses the standard creative process and the materials become the creator while the designer/artist is merely a catalyst of release. The War, innovative materials, Atom Bomb, organic forms such as the human body, all in combination with the hope and fears of Americans pushed Atomic art and style into pop culture. After the war ended much of the materials only available to the war effort became free for civilian use. The molded plywood, plastics and fabrics fit a wide range of uses. The Atom Bomb terrified the nation at first and influenced films with horror sci-fi that showed mutant forms. 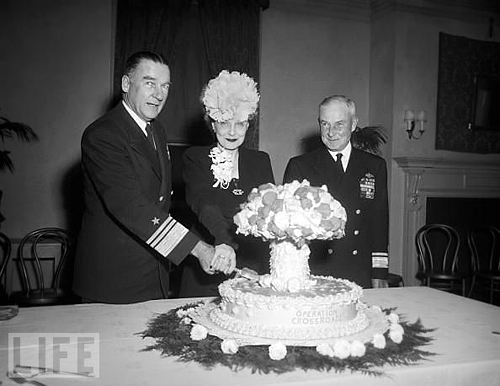 However, as the confidence that atomic power could be harnessed and used as a energy source it took on a more jovial role in products and furnishing. Barkcloth is made from the bark of the Hawaiian Kapa and Mulberry tree added to cotton, rayon, and linen. It was used to upholster furniture and for draperies due to its durability. The original Barkcloth patterns produced featured flowers. plants, and other scenes from nature. 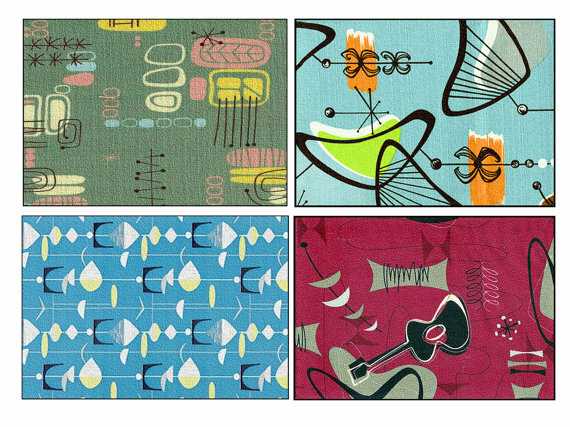 The most recognizable and popular Barkcloth patterns are that of the Atomic Design Aesthetic which kept with nature and organic themes but moved them in a abstract direction. Many of the shapes are amebic with lines that resemble starburst. Also, flowers and leaves are deconstructed becoming only recognizable in shape. 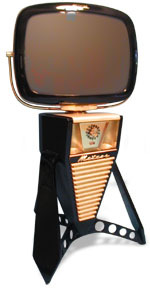 Philco Televisions gained poppularity post WWII because it featured many andvances in home veiwing technology. When their sales began to fall they turned to Americans fascination with space travel as well as the Russians Satellite Sputnik as inspiration for designing the new line of T.V.’s. They soon developed a television that could be separated from the base to create a variety of viewing areas. They also tapped in to the imagination by creating a space ship like body called the Meteor. Predicta ads touted it as the,”TV today from the world of tomorrow”. 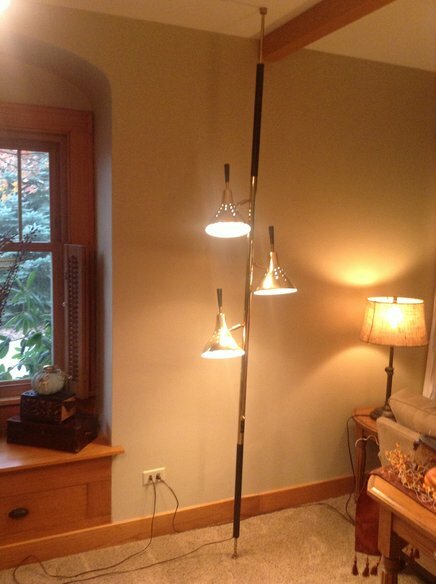 Ted Stiffel designed lamps that he felt should be functioning works of art. He did not only employ designers in making his lamps but glass makers and metalworkers as well. Stiffel’s Pole Lamp is most often stainless steel with a spring tension within the pole that holds it in place from the floor to the ceiling. The cone shaped lamps could swivel and be directed towards any area of the room. Since its introduction in the 1940’s its maintained its popularity. George Nelson was a Yale educated architect who also taught, designed furniture and graphics, put on exhibitions, as well as wrote for industry publications. He is described via the George Nelsons Foundation website as someone to whom, “no one profession was sufficient”due to his energy for life. 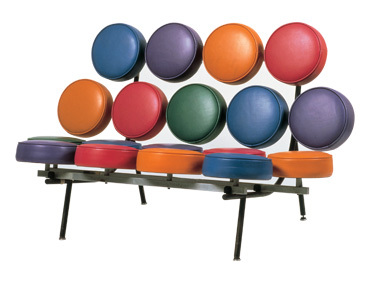 Nelson was a major influence in post WWII design scene creating the Coconut Chair, Marshmallow Sofa, and Ball Clock. The Ball Clock popularity enabled sales to continue for more than four decades. The origin of the clock is often linked to the science of the movement of atoms with a distinct link to the atom bomb. But according to Nelson it was a collaborative effort between him and friends who took turns playing with a design drawing during a drunken night of fun.